Our team of architects were briefed by an older couple wanting to divide their previously renovated period home in order to rent out the front of the structure and live in the back section. We were asked to give the rear entrance its own identity, define the line of division, improve people flow through the back half of the house, create privacy from a five-storey development on their boundary and consider aged-related accessibility requirements. 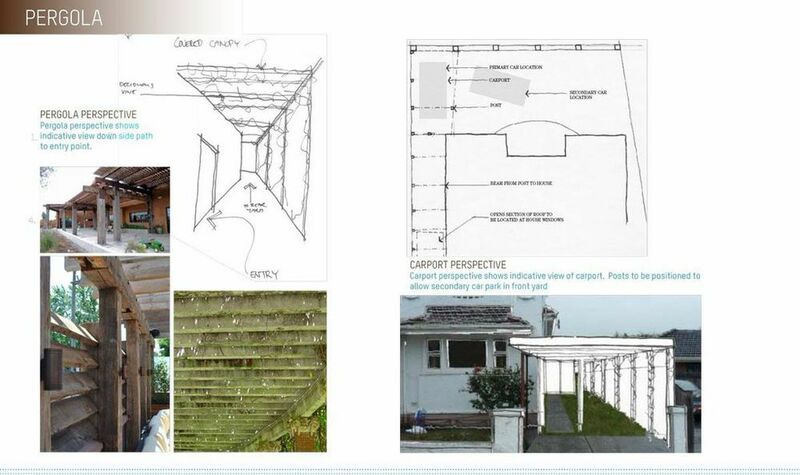 A series of schemes were developed that addressed aesthetic, functional and cost implications. To provide a sense of address we suggested a variety of pergola styles from the rear entrance down the side of the house to the street. These range from traditional post and beam to sticks and hinged structures. A series of planting options were suggested to provide versatility in terms of shading. By realigning the axis of the house 30 degrees and stepping the rear façade, we created a new entrance point which provided easy access to numerous internal spaces. To divide the house, we followed existing brick walls in order to reduce fire safety related renovation costs. 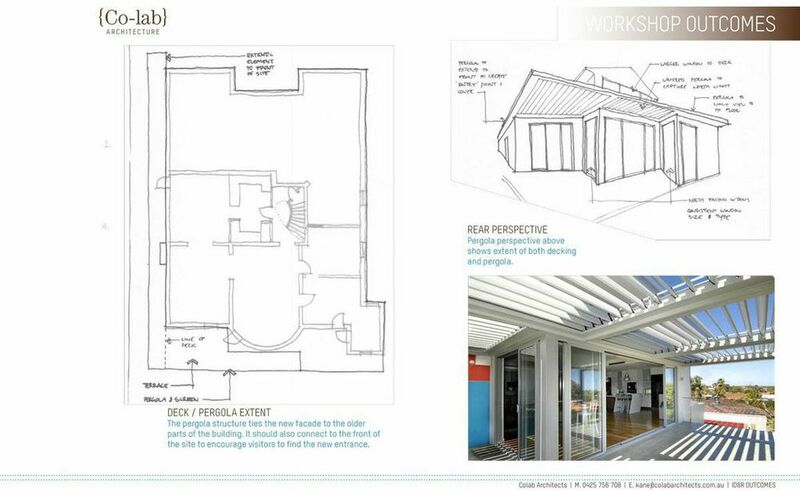 The architects in the workshop also developed a number of ideas to improve accessibility, including integrating wheelchair access for the bathroom and laundry space.